Recently, news reports and blogs shared the story of 14 year old Faith, a domestic servant in Abuja whose principal, Roseline Uzoamaka forced her to sit on a burning electric cooker because she wet the bed (see that here). While Faith is recuperating at the hospital, Roseline, her boss has been arrested by the police. 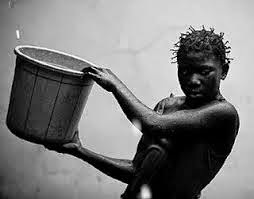 Having a domestic servant or Housemaids/boys as they are locally called around is not new to Nigerian homes, it’s a way of life, especially for those who can afford to pay them or care for their needs if such maid is a relation. The International Labour Organisation in a recent study entitled: ‘Domestic workers across the world’ showed that there are at least 53 million domestic workers worldwide. It explains that the figure, which does not include child domestic workers, is increasing by the day in both the developed and developing countries. Also an estimated 10.5 million children are engaged as domestic workers worldwide with most of them under age. d) the conditions of domestic service generally. However, Nigeria is yet to have a codified legislation that protects the rights of domestic workers like Faith in the Country. The Lagos State Criminal Code states in Section 206 that it is the duty of every person who as master or mistress and has contracted to provide necessary food, clothing, lodging or medical treatment for any employee or apprentice under the age of eighteen (18) years to provide the same; and he shall be held to have caused any consequence which results to the life or health of the employee or apprentice by reason of any omission to perform that duty. This is how far it goes in relation to the terms of employment of domestic staffs. To address the deplorable working conditions, labour exploitation and human right abuses that domestic workers have to contend with as well as the lack of legal protection, which makes it difficult for them to seek remedies, the ILO came up with the Domestic Workers Convention, 2011 (No. 189). 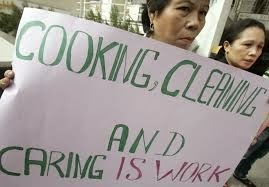 On June 16, 2011, ILO members – governments, trade unions, and employers’ associations – voted over­whelmingly to adopt the ILO Convention Concerning Decent Work for Domestic Workers (Domestic Workers Convention, No. 189). This groundbreaking treaty established the first global standards for domestic workers. Under the Convention, domestic workers are entitled to the same basic rights as those available to other workers in their country, including weekly days off, limits to hours of work, minimum wage coverage, over­time compensation, social security, and clear information on the terms and conditions of employment. The new standards oblige governments that ratify to protect domestic workers from violence and abuse, to regulate private employment agencies that recruit and employ domestic workers, and to prevent child labor in domestic work. Since the Convention’s adoption in 2011, dozens of countries have taken action to strengthen protections for domestic workers. Several countries from Latin America, Asia, Africa, and Europe have already ratified the Convention, while others have pledged to do so. Many others are undertaking legislative reform to bring their laws into compliance with the new standards. Already, millions of domestic workers have benefited from these actions. Article 3: domestic workers should enjoy the ILO fundamental principles and rights at work: 1) freedom of association; 2) elimination of forced labor; 3) abolition of child labor; 4) elimination of discrimination. Article 4: Protections for children, including a minimum age and ensuring that domestic work by children above that age does not interfere with their education. Article 5: Protection from abuse, harassment, and violence. Article 6: fair terms of employment, decent working conditions, and decent living conditions if liv­ing at the workplace. Article 7: information about terms and conditions of employment, preferably in written contracts. Article 8: Protections for migrants, including a written job offer before migrating and a contract enforceable in the country of employment. Countries should cooperate to protect them and specify terms of repatriation. Article 9: Prohibits confinement in the household during rest periods or leave, and ensures domes­tic workers can keep their passports/identity documents. Article 11: Minimum wage coverage where it exists. Article 12: Payment at least once a month and a limited proportion of “payments in kind”. Article 13: Right to a safe and healthy working environment (can be applied progressively). Article 14: Equal treatment with regard to social security, including maternity protection (can be applied progressively). Article 15: Oversight of recruitment agencies including investigation of complaints, establishing obligations of agencies, penalties for violations, promoting bilateral or multilateral cooperation agreements, and ensuring recruitment fees are not deducted from domestic workers’ salaries. Article 16: Effective access to courts. Article 17: Effective and accessible complaints mechanisms, measures for labor inspections, and penalties. It will be great for all domestic staffs in Nigeria, if the Country were to adopt that Convention. Then girls like Faith and the many other nameless domestic staffs working in households around the country will be protected. Don’t you agree?